In terms of administration, the North East of Brazil includes all the top of the country, from Sao Luis and the North West point to the top of the Bahia state in the South East. A vast area, it is one of the wealthiest and most dense regions of the country. We thus decided to divide it in three parts, Bahia and its capital Salvador, the North, and the NorthEast. The Northeast we delimited spreads from Fortaleza to Recife. The Northeast was the subject of many desires and conflicts during the previous centuries, particularly with the Portuguese and the Dutch, and even the French. The main reason of this increasing interest was the sugarcane culture which was the origin of the very busy Recife and the beautiful Olinda, one of the most preserved colonial ensemble in the country. The Northeast was also the land of the cangaceiros in the 19th century, the legendary bandits of the famous Sertao, the arid outback, and the land of many art-forms specific to that time: music, cinema, craftwork... 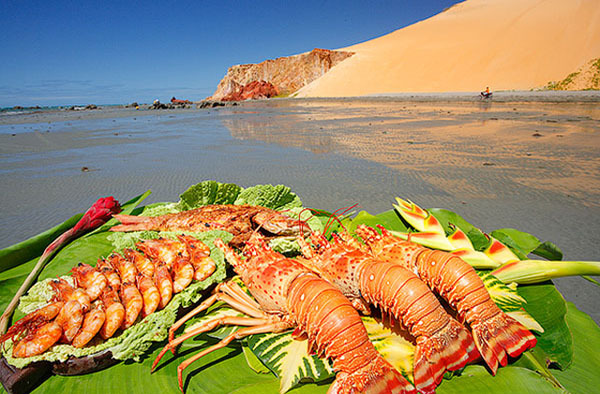 Nature is also of interest with desert beaches and multicolored cliffs on the coast between Natal and Fortaleza, a great playground for buggy, which was developed there. When seeking more tranquility and serenity, the archipelago of Fernando do Noronha is accessible from there. It remains as wild and untamed as when Darwin discovered it in the 19th century. The Northern coast is one of the less economically developed area. The inland region (known as the sertao) is really dry and the population had to flee to the coast. It is however on this land, from the Lençois to Fortaleza, that nature is present in many different forms. The main attraction is the desert of the Lençois Maranhenses, a large space of dunes with many fresh water lagoons, a breathtaking landscape. The Parnaiba delta further West is also of great interest, with a sanctuary sheltering thousands of birds. Or also the beaches, all different and surprising, including the Jericoacoara beach with its small village, where surfers pass horse riders and where you can watch great capoeira shows... Last but not least, two treasures are hidden further inland for the most curious, which are the Ubajara and Sete Cidades national parks. They are real fresh air oasis in the middle of the sertao where you can find caves, waterfalls and surprising rock formations. 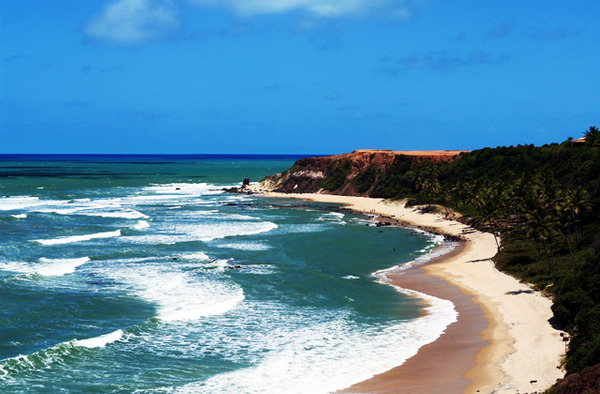 The Northern coast contains a great variety of landscapes... and of cities: the colonial São Luís, the elegant Jericoacoara, the modern Fortaleza. Off the beaten track, by 4WD, by small wooden boat, by plane or by foot, you will feel the adventure in this remote and wild place with great chance of encountering a friendly and welcoming people.